Every cobbler needs a dependable way to keep customers’ shoes organized. 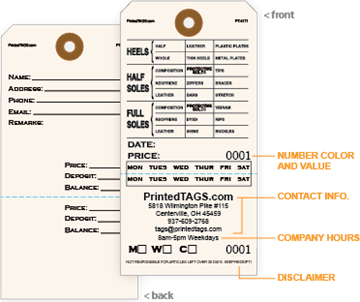 We offer stock shoe tags for repair with printed shoe information, sequential numbering and perforated tear-off stubs for easy inventory management. 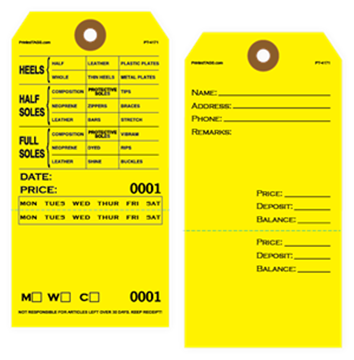 Step to it and order in quantities as small as 100 per pack.